I started doing a series of my most love products, I actually started it last month which is the MAC STUDIO CAREBLEND and I will be posting each month 1 product that I truly..truly love and been using for years or months, products that I highly recommend. When i started using make up my first foundation was the MAC Studio tech which is a very thick cream foundation I used it for years then when I got tired of using it, I decided to try the liquid foundation from MAC so the girl from the counter recommended to me the MAC Mineralized Skin Finish Foundation which is very very disappointing and a waste because after 3 hours it seriously melts on my face because of my oily skin and mixed with the humidity..it just didn't work for me at all. 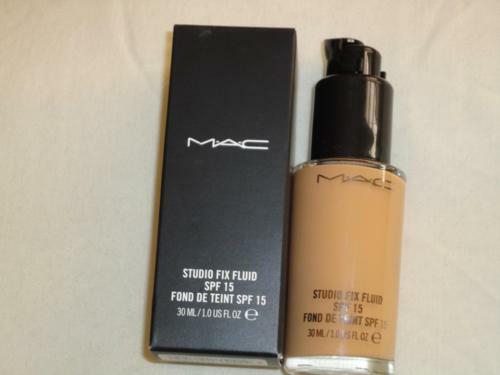 So I did a research of what type will best suit my oily skin and also because I really wanted to try a liquid foundation then I discovered the MAC Studio Fix Fluid Foundation which reviews says that it's good for oily skin..so I went to MAC again and decided to purchase this foundation and that's where our relationship started. I was so impressed to it on my first application. It's a natural matte foundation, and I love matte finish foundation most of the time but during winter I love dewy finished foundation but I do own few foundation that dries matte. It's also medium to full coverage but for everyday look I just used a small amount and blend it on my face and even for small amount it evens out your skin perfectly. The only time I do full coverage foundation is whenever I needed to be flawless like I needed to be photographed or during events and also because it holds up for hours on my skin. It also has an SPF 15 which is a plus for me because I hate applying Sunscreen on my face. So any makeup with SPF is a plus for me. It doesn't oxidize on my skin like most of foundation do. With my very yellow skin tone MAC NC matches my skin tone perfectly some other people complains that MAC foundation was too yellowy for them but for me it's perfect. It has been loved by so many most specially those people who have oily skin. I had been using this foundation seriously for almost 4 years now that's how I love this foundation. Whenever I need my face to look so polished and great I use this. When we shoot our Engagement pictures I did my makeup and I use this, on our Civil Wedding day I also use this as well. 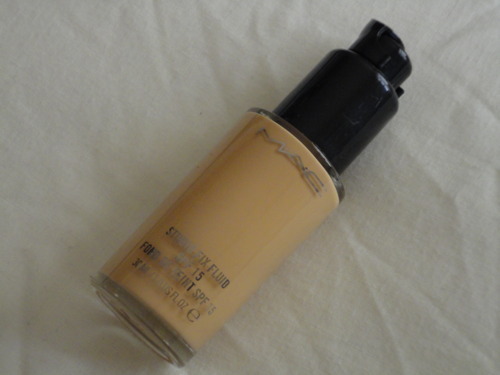 Basically, any important occasion this is the only foundation I grab. This is how much I trust this foundation. The only downside for this foundation is the smell it has this paint smell that if you're not used to it you might not like it but since it gives me what I want I don't care about the smell anymore plus I'm used to it. It also doesn't come with a pump you have to buy the pump separately. If you're oily skin and looking for a foundation that will work for you and can hold up for a long time give this a try and lemme know what you think about it.